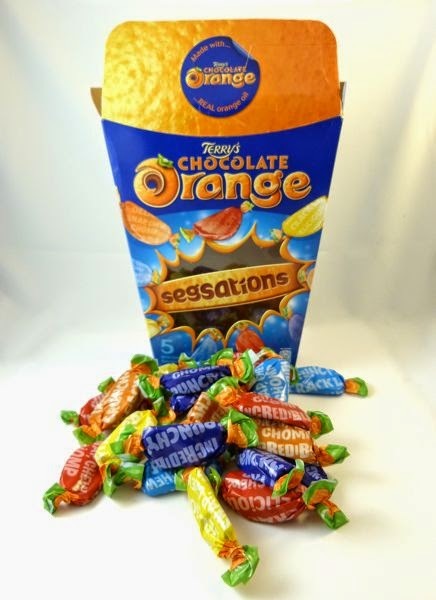 Today was Day #3 of Chocolate and Toffee Theme Week; and today's package of Terry's Chocolate Orange "Segsations" (owned by Kraft Foods) came in 5 different, individually-wrapped flavors. This evening, I tried the Toffee Crunch flavor. Each citrus segment-shaped piece was made of sweet, milk chocolate and crunchy toffee bits, infused with lovely orange flavor. Earlier today, I was a judge in a chocolate awards tasting. Over one hundred chocolates is probably too many chocolates to taste in one day, especially given the range of quality involved. Still, it was great to participate; and it was fun to compare notes with others. 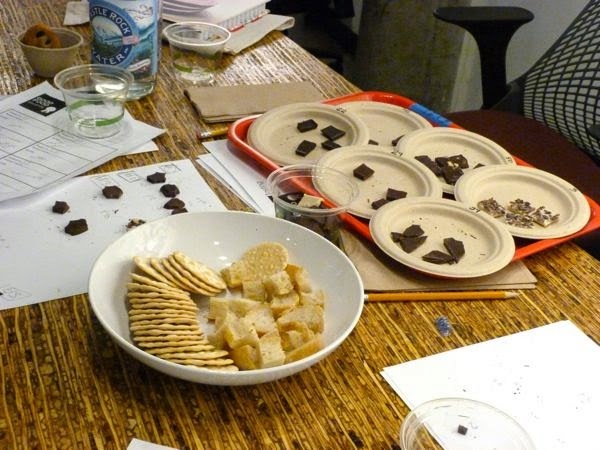 There are always new things to learn when it comes to chocolate. There were no toffees to taste in this competition, so I topped off the day's tasting with this additional piece of chocolate when I got home. With all this theobromine* in my system, it will be interesting to see if I can sleep at all tonight. *Chocolate contains theobromine, a stimulant that is similar to, but not the same as caffeine. I really like the Terry's dark chocolate orange. 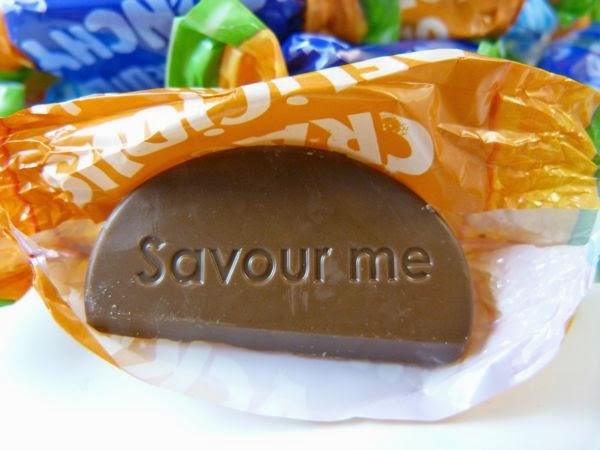 I find the milk chocolate version too sweet for my liking, but the dark chocolate with a hint of orange is lovely.